My guess is 30 to 40% of of 991.2 GT3's will be Manual in the UK...it wasn't available as an option for the first three or four months of production and take up from what I have seen is maybe 50% since then but certainly there are more PDK's that are being flipped/on the used market than Manual cars. That would be very nice if those figures are about right, it would seem a large percentage of manual CS owners are active on Pistonheads forum which does give a bit of a distorted view on the overall numbers as reading some of those threads would make you think most of them are manual! It's obviously a "fag packet" calculation as nobody knows those numbers apart from a few people in Porsche GB and possibly some DP's etc. My guess on the number of Touring's is based on all OPC's delivering at least one car (my OPC had one customer who ordered a Touring) with some maybe having deliver 2 or 3. I know of one OPC that delivered 3. There are something like 35 OPC's in the UK. I'm surprised the manual box wasn't more popular to be honest given the angst when the 991.1 GT3 was launched as PDK only but it just shows how people's opinions change. 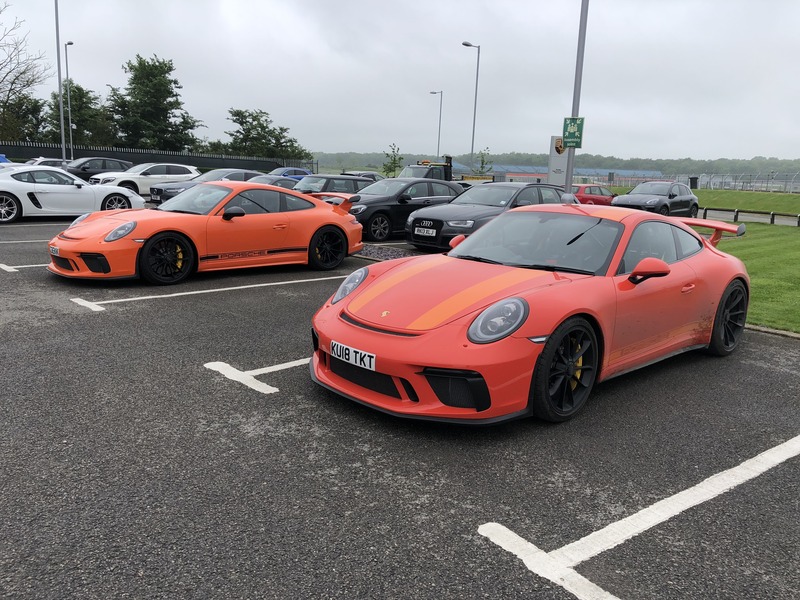 My personal theory is that one of the reason's there are so many more PDK cars on the market at the moment is because they have been sold back to secure GT3 RS slots and those people being favoured customers of OPC will have got early cars which had to be PDK. If you've got a manual car I think you're just much less likely so soon to want to sell it as there's nothing else to compare with it on the market with a manual box. What I don't understnad is if you bought the car to flip it which some people clearly did why they would spec it like they have....some truly odd and dare I say dreadful specs around. I know how lucky I am to have got my hands on this car....something which to be honest I still can't quite believe. The way I found out the allocation is actually quite funny, we were picking up my wife's Boxster in Novemeber...the SE gave my wife some Jo Malone stuff as a handover present and looked at me and said "I have something for you too". Gave me a small box in gift wrap...I opened it to find a model GT3 and he told me I had a 2018 build slot. I went bright red apparently! I went bright red apparently! I think you must have gone LAVA red!! I assume you have a long history with your OPC and buy cars as regular as clockwork! Very nice, congratulations. Enjoy it. Lets make sure we never park out GT3's together, I can't imagine Lava and Racing Yellow complimenting each other. Oh I don't know....there's something to be said for a GT3 in a loud colour! Clocked up 300 miles in my first week of ownership of which about 280 had no justification at all. Just love everything about the car, and I've never driven a car that gets so many positive comments.